Samsung has put significant efforts in order to excel in table market especially since Apple plunged into the industry with initial lead of original iPad. In recent time, the company has released a quality device called Samsung Galaxy NotePRO which brags about some amazing specification. Even from brief demonstration, it has become clear that this tablet possesses strong potential to attract new users. Here we have tried to give you quick glance of the some tremendous features and functionality of Samsung Galaxy Note Pro. Samsung Galaxy Tab Pro is definitely on the heavier side as it weighs more than 1.5 pounds. It features exceptional resolution of 2560×1600 which gives users significant room to work with. Apart from this, the Multi Window and Pen Window functions of this tablet offer amazing multitasking capabilities. The S Pen of Galaxy Tab Pro is a real selling point, which lets user to swipe the words more efficiently on the keyword. The screen of this device successfully maintains the right balance between being large enough for business purpose while delivering the high image quality for multimedia playback. The screen quality of Galaxy Tab Pro is undoubtedly impressive which displays fluid video playback and awfully sharp images benefitting from its tremendous brightness levels. For a multitasker, the Samsung Galaxy Tab Pro has a capability to run many apps simultaneously through its special features referred as Multi-Window. Not only this, the device also allows user to play multiple instances of similar app. Any user who wishes to get an experience of Windows OS, the Pen Window functions allows him to launch the apps with the help of floating windows. One can keep multiple apps open at once, and a user can easily switch in between multiple apps in quicker and intuitive way. Apart from its business application, the device features number of applications which are mainly targeted at casual users. Samsung has followed an effective strategy of targeting only professional audience with Galaxy Note Pro. It has replaced the TouchWiz user interface with Magazine UX, which exactly falls halfway between Windows 8 and Android in terms of appearance and features. The Magazine UX offers amazing opportunity to customize and navigate with several interactive panels thereby eliminating the necessity of multiple applications. The 3GB RAM and quad-core Snapdragon 800 processor of NotePro plays important role in enhancing the performance of this device. The tablet is very much available in both 64GB and 32GB storage capacities. 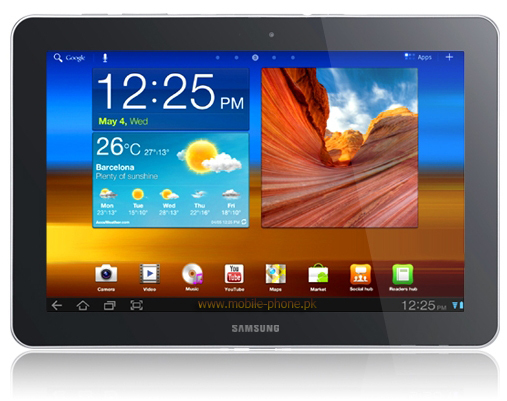 Though Samsung Galaxy Tab Pro 12.2 is considered as a big device, it is also available in 8.4 and 10.1 inch versions. The ability of this gadget to open up 4 Multi Windows without affecting performance will make it highly business friendly device. The build quality of Samsung Galaxy Tab Pro creates a bit of concern; the comprehensive collection of preinstalled softwares may act as a game changer for the device. Despite some criticisms, this business tablet has got some amazing potential to excel over the other devices available in similar segment.